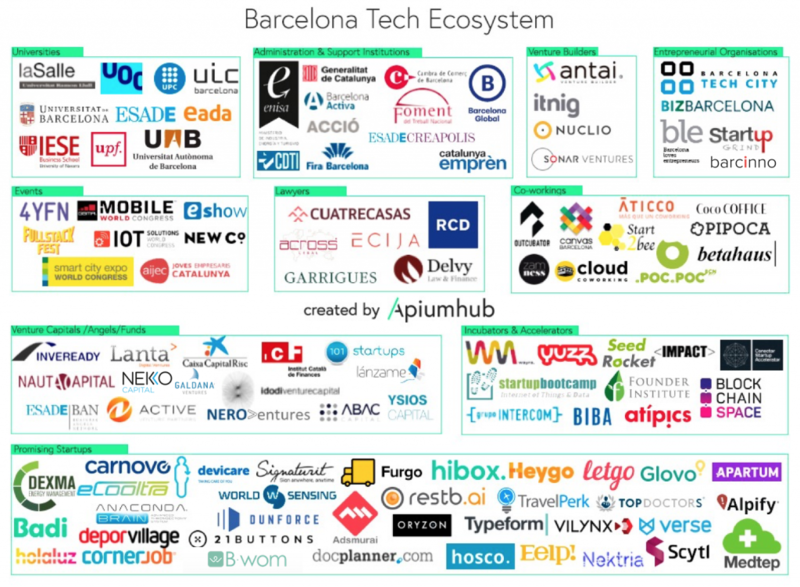 The tech ecosystem of Barcelona has been continuously growing for many years. Barcelona has become a home for many exciting start-ups. Barcelona has one of the fastest growing startup ecosystems globally and it is the 5th European region in terms of startups according to some rankings. Why is Barcelona named as an Innovation tech hub? Being listed behind London, Paris, Berlin and Amsterdam, Barcelona is one of Europe’s most dynamic startup ecosystems, especially in the field of new technologies like Internet, eCommerce, Mobile Software & Services, Big Data, eHealth and of course Tourism. Thanks to multiple factors that have given the city over thousand of startups with ambition and global vision. Just imagine that the startup economy employs more than ten thousand people. It has become a clear benchmark in Europe in the creation of new companies, especially those with a technological base. Today, the Catalan capital has over 1,100 startups with this growth being down to various factors: local infrastructures that both feed and benefit from these projects; public and private support programmes and services for entrepreneurship; successful entrepreneurs who have helped to create networks of incubators; accelerators and investment vehicles that safeguard the new companies; and the presence of internationally renowned trade fairs such as the Mobile World Congress, 4YFN, Smart City Expo, IOT and many others.